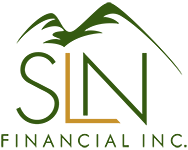 March 16, 2016 - Insurance Issues to Consider Before Renting on Airbnb | SLN Financial, Inc. Most homeowner’s insurance policies are not designed to protect against the liability associated with paid guests. In many cases, insurance companies consider short-term rentals a commercial activity that is explicitly excluded in your home policy. If you don’t inform your insurance company of your Airbnb business, you could find your policy canceled in the event of a claim. To protect your assets, you’ll need to either upgrade your existing policy, add a rider covering short-term rentals, or seek a business liability policy. Another option is to require guests to show a certificate of insurance to prove that they are covered under a rental or homeowner policy. We strongly recommend that you consult a qualified insurance professional who can review your specific situation and offer customized advice. Injuries to the guest or someone else on your property. Damage to the property or a neighbor’s property. Loss of income if tenants refuse to pay. Many municipalities require bed-and-breakfast operators to hold commercial licenses, pay special taxes, and submit to inspections. If you run a short-term rental business, you might fall into a regulated category. Check with a qualified attorney who can advise you about specific requirements in your area. In response to some high-profile incidents, Airbnb announced a $1 million host guarantee available to every Airbnb host. However, this guarantee is not actually an insurance policy and may leave you high and dry in the event of a problem. The guarantee is secondary to insurance and requires you to have exhausted all other methods to recoup your loss before filing a claim with Airbnb. The guarantee also specifically excludes certain kinds of losses. Most online platforms explicitly disclaim any responsibility for protecting hosts or guests from trouble, and you don’t want to be the person forced to test those policies in a lawsuit. While we sympathize with the desire of many homeowners to supplement their income by renting through Airbnb and other online platforms, it’s vital that you consider all the risks of operating a quasi bed-and-breakfast. If you’re considering renting rooms or becoming a landlord, make sure that your legal and insurance professionals are aware of your situation and can offer you personalized advice.